CALLAHAN, Fla. — A pet zebra escaped from a Florida home and was shot and killed by its owner, who wasn't licensed to own the animal, authorities say. News outlets report the Nassau County Sheriff's Office says the zebra, named Shadow, injured itself somehow while escaping Wednesday in the town of Callahan. 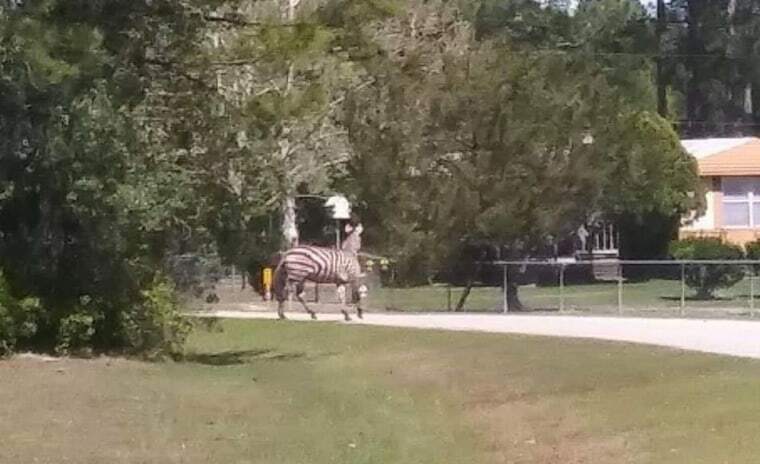 Neighbors told WTLV-TV that the zebra was cornered by the owner and killed as authorities responded to the scene.